A unique menu board, with a select and exclusive menu. 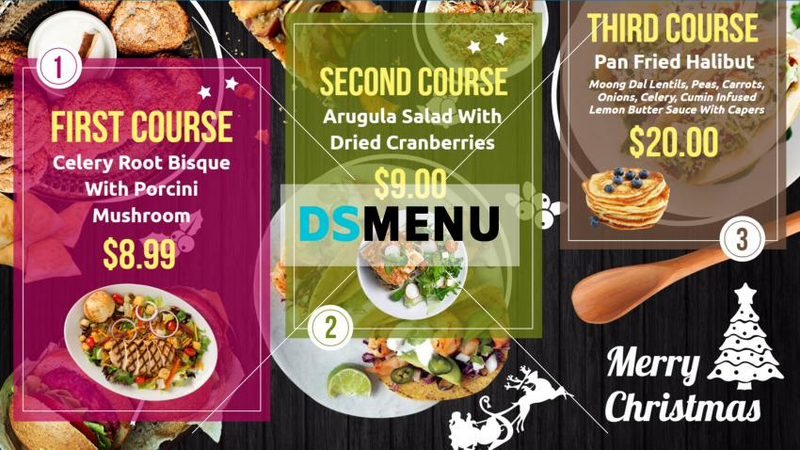 The multi-colors delineate the popularity of the three-course menu which are well adorned with graphics. On a digital signage menu board this template will be outstanding. Should be placed at the entrance or indoors. Customers can make quick decisions and the operations would be efficient and prompt from the restaurateurs end.